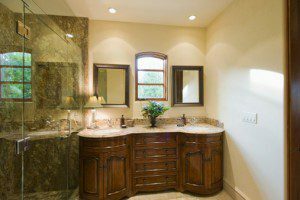 We provide bathroom lighting services in the Tampa, FL area and are here to help you upgrade, install, or maintain the lighting in your bathroom. Do you feel like your bathroom is missing something, but you aren’t quite sure what it is? If you recently updated or remodeled one of the bathrooms in your home, but didn’t change any of the light fixtures, the lighting in your bathroom could be compromising the aesthetics of this room. Luckily, at 5 Star Electrical LLC, we are here to help. • Affordable Rates – We won’t charge you a fortune for our services. 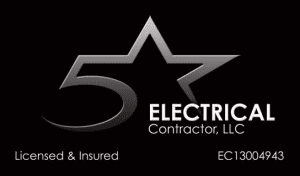 At 5 Star Electrical LLC, we strive to keep our rates honest and competitive. • Attention to Detail – When it comes to lighting fixtures, attention to detail is everything. If you have us install new lighting in your bathroom, we will make sure that every detail is accounted for to ensure the functionality and efficiency of your new fixtures. • Experience – Thanks to our experience, you can rest assured that we will do the job right. Our founder, Shawn Formont, has worked as an electrical contractor for over 14 years. Once you put new lighting in your bathroom, we are confident that you will be amazed at the difference it makes! If you have any questions about our bathroom lighting services and what they entail, reach out to us at 5 Star Electrical LLC. We are always more than happy to provide you with information.